If someone has a broken leg or a sprained ankle, there is no question about whether he can walk the dog or run in a race. Rheumatoid Arthritis pain and weakness is invisible to the naked eye, but it’s similar to an injury in some ways. Sometimes, the injured person can’t do the same things he usually does. And that’s so obvious, no one would question it. Question: does “can’t” mean Rheumatoid Arthritis makes it difficult, painful, or impossible? People often write me about their spouses or employers who question their claims of “I can’t.” I’ve been wrestling with what to write about this for weeks. What is the definition of can’t? Nowadays, I can hold onto a mug with all my might and hardly ever drop it. Right after I was diagnosed, each affected joint was terribly weak. If I tried to hold a coffee mug, my wrist would droop and the cup would fall to the floor. Is that can’t? Maybe sometimes can’t means it hurts too much. I tend to say I can’t make a bed. My precious daughter makes mine. But, I insisted on making Roo’s new bed with his new space-themed sheets last month. My fingers were screaming in pain as I tried to put the sheets over the bed. It was hard and it took a long time, but I got it on eventually. My hands were useless for the next few hours though. They hurt so much that I could only hold them lamely on my lap until they calmed down from forcing them to do something. Maybe can’t means it’s just not the same. I know all my life, I picked up things with my toes. It never occurred to me that I can’t do that anymore. I tried to pick up a little blankie with my foot playing with Roo a while back. I was shocked to realize that the blankie was going nowhere. I gave up with a curious feeling. Maybe can’t means it is not worth it. In 4 ½ years, I’ve filed my nails twice. It meant struggle and pain. So I’ve lived with jagged too-long nails that eventually break off into the quick. It would just hurt too much to clean them up, so I leave them like this. I can’t imagine getting a manicure, having my fingers handled. It bothers me to look un-groomed, but it’s just not worth it. Last week Roo asked for more milk. His brother usually gets it, but I wanted to. In the kitchen, I stood there trying to unscrew the cup lid. I was always the one who could open anything and I enjoyed surprising others with my trick. I really believed that if I didn’t care how much it hurt or how long it took, I could eventually do anything. Well, that lid did not come off. I left the room. You can guess what I did in my room. Last winter, during tennis matches, I worked on sewing Boy Scout merit badges onto the sashes I gave my sons for Christmas. I did a few each week and I was so happy when they were done. I was happy until I went to a ceremony to see my sons receive more badges. I saw that we had sewn them on backwards. I say we because I only sewed them where they told me to. They would all have to be removed and re-sewn. Meanwhile, Bear needed a larger shirt. I bought him an adult shirt, but that meant sewing on several pieces of insignia. Both sons have earned several more badges now. The stuff just sat here on the coffee table for months while my fingers got worse. Last week, the fingers were just enough better that I could force myself to work on the shirt. In tiny increments, I finished the shirt. However, 25 merit badges still sit here waiting. I hope I can get a lot of them done before the upcoming Court of Honor so they will look good when –you guessed it – they will get a bunch more. Maybe can’t means I’m going to try very hard and we’ll see how it turns out. So what does can’t mean with RA? Is the question about the difference between too much pain and not enough strength? Does one bother you more than the other? ← How Soon Should You Switch Biologics for Rheumatoid Arthritis? I’ve never heard of that. We do have a lady who sews Velcro onto the shirts & then glues Velcro on each badge, too. And the boys are willing to do it themselves too, but really, my sons are hoping to make Eagle and they want to keep these things forever so I want it nice for them. Just my hope. It’s very interesting that you posted this today. I was just thinking a lot about this the other day. You know, every time you go to the rheumy you fill out this questionaire that describes these “difficulties” in everyday life. The other day, someone actually asked why I did things in certain ways. You know like use steam cleaners to deep clean,”saw” at vegetables instaead of chop, etc. Some of these things I didnot even realize I had changed. Subconsciously I have modified things so they don’t hurt that much. I am glad, that at this point, there are more of those “modifications” than “can’ts” in my life! btw: My rheum docs have never asked those questions. I know about the HAQ – just none of the docs I’ve seen use it. I don’t complain since it would bother my hands to try to use a pencil. But it would be good if the docs asked. Wonderful post and something I am still struggling with in my daily fight. For me, when first diagnosed, I was in extreme denial so can’t didn’t exist. I was just sick, like with a cold, and everything would return to normal. Then I hit the “anything is possible if I try hard enough”. I am not a whimp nor lazy so I knew I could get things done if I just kept pushing. That just laid me back up in bed (TMI ALERT) soiling myself because I couldn’t lift the sheet much less get out of bed for 3 days. That brought me to alot of can’ts. Nothing got done except out of bed and toileting. Finally I realized modifications and adaptive equipment would keep me fighting and more a can then can’t person. It has too, but my hopes were for normal and that fell short.Even with a shower chair, curved back washer and hand held show nozzle. I have to choose each time between washing my back and washing my hair. If I do both I can’t get out of the shower my legs collapse and I hit the floor. But I can shower frequent enough that they both stay clean now. Can’t is just can’t for me now. It don’t matter if it is because the pain (either now or later) isn’t worth it, my arm don’t go that direction anymore, or I’m just too tired. This is my life! I’m going to live it my way. I will choose which battle is wortht he fight and which mountain I need to climb. Walk with me and appreiciate life or get out of my way it’s your loss not mine. A suggestion for the merit badges. I sewed them for my kids with my sewing machine. Just sew right inside the bound edge onto the sash. Can’t means for me means picking the things you “really” love and finding a way to “adjust” your life to fit those in. Like biking, my husband bought me a new bike for my birthday. Its a sweet cruiser, higher handles mean little pressure on my wrists. I wear a brace for my knee and take 2 tylenol b/f I go. I also carry more of that w/me in-case I need it. Kyaking means…2 hours instead of 4-6 that I used to do. Making the bed…well I don’t love it so I gave that up!!! Do the things you love, find a way that’s what “can’t” means to me. Wow, this is a good one Kelly! In the beginning like Tanya, I thought, “well this will pass”….we all know the answer there! I too have learned to modify what I do, in the kitchen, making the bed (bedspread only goes on if company is coming:) cleaning the house (I have a helper) but my biggest modifications and “can’ts” have come in the barn. I really have to watch what I do out there, esp around those big animals. I am fortunate to have well behaved horses I guess, but lifting filled water buckets is impossible, brushing is hard to hold the brush…so I only do one or two of them a day…I also have a list of “shouldn’ts” like riding right now. Not only is there PAIN, I worry about the damage being done under the stress of riding. I find myself very nervous getting on my young mare just to sit there…”What if I fall off”…I was never that way before RA! I too am very proud and independent so it is hard for others to know what I can’t do and I have to ask for help….thanks again for this blog, once again we know we are not alone! As I sat in the dentist chair I thought kept pounding my mind. Have I become a lazy guy who procrastinates and does not go all out to complete even the basic and important tasks? I manage a large group of people at work and consider “drive for results” a key competency. That is a politically correct name for the “do-not-be-lazy” skill. I have to walk the talk! At my lunch break I was surprised to see a posting addressing that very same question and could not help but to pounder a little more about the subject. So, what does “can’t” mean with RA? It all seems to go back to time and resource. Resources – you, your strength, physical abilities – varies from person to person and from day to day. This morning my resource pool was very low as I had more pain and stiffness than usual. Resource limitations may or may not be visible, but they are there in different degrees, no matter if spotted by the naked eye or not. Time is a human convention. How much time is acceptable to complete a certain task? The bigger and more elaborate the task the more difficult is to put a definite time to it. Think “moon-landing” back in the 60’s – 1 month, 1 year or 1 decade – what’s the appropriate time to complete such task? Think “opening-a-jar”; we all know it should not take more than a minute! So, what does “can’t” mean with RA? As a pondered about its basic elements I could not find a way out; it means the exact same as “can’t without RA” – the concept I lived with for the first 40 years of my life. Resources, however, are much lower. Therefore, one must compensate with time or find “modifications” that will help increase your resource pool. Whether we name not-the-same, hurt-too-much, not-worth-it or other it all comes down to resource and time. If one goes down the other must go up. This morning, as I sat in that chair it was hard for me – the RAer – to accept the idea that I had to adjust my expectations about time. I wonder how others – who have no visual cues about my resource limitation – will ever be able to adjust their expectations of me. PS: I remember my “coffee mug story” – actually milk. Had to use nose and chin to open the microwave; various attempts to move the galloon from the fridge to the counter; a walk (more like a crawl) to the garage to get a pair of pliers as I gave up opening it with my bare hands; holding the mug with both hands as I dragged it upwards against the wall towards the microwave; I could not just lift my arms and had to use the wall to help; had to clean all the spills. Make it short; it took me well over 1 minute to warm up that cup of milk. I was exhausted. Can I warm up a cup of milk? Well, how much time would you give me? Thank you, Alberto. That was well described. Someone without RA could get a good picture of our plight, too. The biggest can’t for me right now is that they keep asking for people to teach Sunday School for the kids. And my 7 yr old looks hopefully at me. But I need to stay further away from germs. And more than that, the last time I substitute taught, I barely made it through the hour and knew that was enough for me. I don’t have the energy. I can’t get up and down and bend and do all the little things needed in that hour. I know God is ok with this. And I know that they aren’t just asking me. But they keep asking! I think you’re right that God does not mind what you can’t do. I hope you don’t feel bad about it. Thanks, Kelly. All of your definitions for can’t are right on unfortunately. I have invested thought at times in how you could describe RA pain to someone who has never experienced it. I consider myself tough and never a quitter and with pain from surgery or injury I would just move through it. But there is something about RA pain that the brain just can’t move through. It becomes kind of like a mental block and at least to me at times the brain says that is going to hurt too much and I won’t let you do it. Thanks again for sharing. Wow Kelly it’s like we are in synch sometimes. I have recently lost the ability to pick up things with my toes also, I know what a huge loss that is…now we have to bend or squat to retrive things which of course uses way more of our painful joints than just a couple toes. I know not everyone would understand this because so many never had that ability in the first place. I have been wondering if I should bring this up to my Dr, wondering if you would show anything of disease progression, but if she doesn’t hold this ability would she truly understand what it means? I also just have to say great job on sewing the badges…..that is determination….you should look into the badges and see if their is a sewing one they can work on so they can learn to sew on their own, there may just be the perfect one for them to work towards. My husband is military and the best way to keep them great forever is to do the iron on and then sew it on, this also is helpful for our hands because the iron on holds it in place first, plus you can do wider stitching. I completely understand wanting them to look great! That is a great idea. I grew up in the military & my dad taught me so much about how to do those things. for so many years I’ve tried to explain this to my loving and caring family. 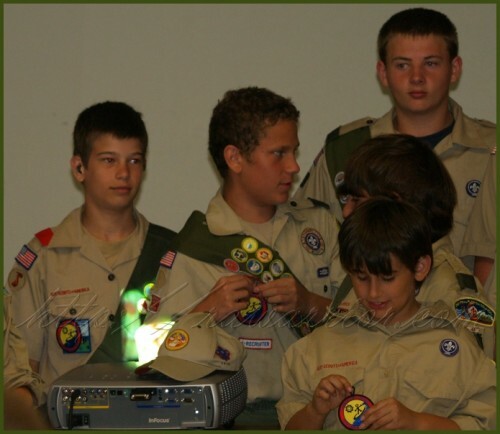 Oh, one thought: where is our merit badge? when we do we get to pass go, and collect $200? It’s not that I “can’t” it is how much am I going to have to pay for it later. I am trying to wean myself off of prednisone right now, so I have a lot of things that I am putting into can/can’t, should/shouldn’t and then break those down to how much am I willing to pay physically and mentally for doing and not doing. Cynthia, this is such a strange disease – maybe there’s 2 more kinds of “can’t” ? We are have the “or else pay” for what we do? And take a medicine (pred) so we can. I guess I’m just too tired this morning – it does not seeem right to have to “pay mentallly and physically” to do things. One of my hobbies is rehairing dolls. The short version of how to do it is a put a hair in a Barbie head one plug at a time knotting each one as I go along. I’ve never been super fast at it but after RA it became a “can’t” for me. Mostly because I like to get things done quickly. I can’t in this case means I can, but I’ve got to slow down, take breaks, and realize I cannot do it all at once. Yes, Mary, that’s what some others were saying too I guess – can, but very slowly. I’ll bet the dolls are beautiful. I was at work (in a restaurant) last week and was asked to open a few bottles of wine for the bartender. I had trouble with the regular corks, and then got to the bottles with the synthetic corks. I could not open them. I struggled so badly…and since I am fairly new, I think it gave my co-workers the impression that I couldn’t open the bottle because of inexperience. I have opened many bottles of wine in my life (both for work and for play *wink*) and have never come across not being able to do it before. Sometimes can’t for me means that it hurts too much, sometimes it means that something will take too long…often it means that I know it will hurt later, so I can’t even try to start. Megan, I’m wondering – have you told them about the RA? The nuances of “can’t” is one subject that SHOULD becaome a hot topic among doct-to-doc conversations and should be take into account in status questionaires about RA patients. Kelly, some of them know about the RA, some don’t. I am only 27 and most of the girls I work with are younger than me, so they don’t “get” it. I suspect that I have had RA for quite a few years now – I have been plagued by aches and pains in my joints since 20ish and my ANA titres were just a little elevated at 21 (1:80) when I had them tested after several miscarriages. Looking back I had flares here and there and then periods of no noticeable activity, but after the birth of my second daughter last year I started having pain that would keep me up at night. When I went and had a little more testing done, my ANA was 1:320, my RF was 28 and my GP suspected Lupus. So I went off to a rheumy who did a full autoimmune panel – my anti-CCP came back at >250. RA it is, and probably has been since my college days. I have a grandmother who has RA (actually, JRA) and Hashimoto’s, an aunt with Hashimoto’s, another with suspected RA, my grandfather had Chron’s and I have a cousin with Chron’s as well. All on my father’s side of the family. Seems like I didn’t have much of a chance at all! Anyway, I am being hit harder and faster and my rheumy does not feel that I will experience a remission – just an aggressive, progressive course of RA. So I haven’t gone so far as to make it totally public at work because I don’t want it affecting the number of hours I get. I have not started my methotrexate yet cause I’ve been fighting a respiratory infection for a couple of months and the prednisone is making it hard enough to get rid of. I am really hoping that I find the right drug combo, because I’m planning on going back to school for a second degree in nursing…and a nurse who can’t use her hands isn’t very useful. Sorry for the long ramble, but not very many people I know seem to understand! I am participating in a “mindfulness meditation stress reduction” therapy classes when I told the facilitator I couldn’t sit/lie on the floor due to RA (I was using a wheelchair) she suggested I think about the possibility of doing so, opening my mind to ways this could be accomplished for the next class. I was taken by surprise, since the last time I sat on the floor was at least 10 years ago. One time, walking down a dark back lane in icy cold weather I fell onto my poor knees then dropped forward smashing my nose onto the snow packed and ice covered pavement. There I waited in stress with bloody nose for at least 20 min. for a passerby to help me to my feet. Imagine I couldn’t get up even when my life depended on it! I can’t get myself down to floor let alone get back up. This is my reality. If the facilitator is suggesting I ask a stranger or two to help me accomplish this I will say absolutely NO! Once I get down there then what…. Feel like a turtle that is stuck upside down and very physically uncomfortable? This “can’t” I will hold onto thank you very much. I live my life being open to numerous possibilities while living with dignity no matter what. Thanks Kelly and fellow warriors for your great courage and uniqueness. Oh, dear fellow copers, I related so much to what so many of you said. For most of my 54 years since being diagnosed with RA I never allowed myself to say “can’t” if there was any way possible under the sun to compensate. A friend once said to me “Lyn, you never say “can’t,” you just say “Hmmm! I wonder how I am going to do that?” She was right and I was so proud to have her realize that. Well, you know what they say about pride! Today, at almost 78, I am comfortable for the first time at saying “I can’t do that,” 1–because I really can’t, with the combination of aging and RA damage, and 2–one of the blessings of growing old is that you care less and less what other people think. Right now, it’s just about zip, except for still wanting to be loved and respected by my supportive friends and family. Kelly, I was so interested in your categories of “can’t.” When I was young and having major flares, I wondered to myself what that meant when I felt I couldn’t–was it just that it hurt too much? Now I know what “can’t” feels like, and I know that my pain was telling me not to push past a certain point or pay the price later, much of which I did and am indeed paying for. Interesting thoughts, Lyn. I’d love to hear more about your ideas on “paying the price later.” The longer I go with this non-stop flare (coming up on 5 yrs) & the more patients I talk to, the more convinced I am in my “Usage Principle” theory. I do think my worst finger is that way because it si my mouse finger. My doc said, don’t blame your mousing; blame your RA. True, but I’m convinced pushing it has done extra damage. I see it all the time. However, knowing what a warrior you are, it also seems your fighting spirit has served you well with RA. Those who succombed younger than you are in no way to blame. But I wonder if your fight to do as much as you can has kept you more able than you might have been, right? Maybe you’d like to write a short guest blog about this topic. Let me know what you think. Kelly, I happened on this blog again after a whole year and I don’t think I ever responded to you. Sorry. Yes, it is a subject that interests me a lot, and I’d like to explore it sometime in a blog. It MAY take me another year to get around to it ( :; ) but sooner or later………….The concept came up again this week when I wandered by a roomful of zumba dancers and it looked like so much fun! I momentarily wondered if I could just do it if I assumed that I could and didn’t let the word “can’t” enter the picture. Of course that is magical thinking, and I know it in my saner moments–I need either a cane or walker to keep from the all-too-frequent falls when my knee or ankle goes out from under me, and I doubt one can zumba with either. But who knows, after all people can “dance” in a wheelchair! I’ll try not to forget this time. 57 years ago, when I was a Campfire Girl we had vests to place our badges and beads on, and wore them to presentations when we accomplished certain tasks. I still have that very vest with many fond memories of my Mother working with me to sew on the beads and placing them in a certain design. The vest has been packed away for some time now and my Mother has long since passed away, but the memories linger. When we get our own home once again I will retrieve the vest and place it in a shadow box for display, not packed away. Men are different in their perception of memories, but hopefully they will choose to place their badges in a shadow box to be displayed as a special memory. Yes, my determination gets me in trouble, but I grew up with the “where there’s a will, there’s a way.” When I was young, my mother & I used to compete with picking things off the floor with our toes. It really was fun! I recently bought one of those long reach gripper things. I bought the cheaper one, because it was light weight, and easier to pull the handle. It has been a blessing for it enables me to do so much more. Can’t is not can’t, it is compensation, and that is what we learn to do. Kelly,thank you again and all the other RA’people who share and give inspiration. I was diagnosed with RA after I had my son 4 years ago. I am 41 years old and I have been staring to think about taking Methotrexate. I rarely, take medications because I have had troubles in the past with meds. I have been working through the pain using Gloucosime and MSM. I found that it was working for me. Even with the pain I felt that the joints were being taken care of with this natural stuff. I have been noticing my hands getting worse and I am having troubles holding anything heavier than a can of soup. I can’t open anything with a twist top and I have found myself many times flagging someone down on the street or going next door to have someone open a jar. My kids always like to try and help. They are so cute and they love the responsiblity, however, I have always been someone who liked to do things on my own and feel helpless at times and I cry about the future of what is to come. I am scared! I am scared I won’t be able to do the things I want and I am scared my children will have to have less of a mom! And my husband will not get all that I can give because I won’t be able to touch him the way I want. ” I don’t want can’t in my life!!!!! !” I want can! Tammie, I have had the same trouble making myself take medicine. These are hard choices and I have cried too; I remember being where you are. One day at a time, I hope it will be clear to you what you need to do. I hope you’ll read throught the methotrexate section of the site in case more information helps you decide (link on the menu). Hi Tammie I empathize with your fear of losing your ability to manage the physical details of daily life. I have lived with severe RA for 37yrs. since age 13. Although I fight the good fight on a daily basis I still live with ongoing limitations and will adapt to these difficult changes to the best of my ability in the moment. I use a vast variety of adaptive equipment such as jar openers, reachers, sock devise, scissors, food processer, long handled shower sponge, and splints and braces and so much more. All enable me to feel empowered,independent and involved. I like to positivly say I am differently-abled and creative in planning. There is good quality of life living with this disease and you can make it happen! Hope this helps a tiny bit. Wonderful, information that I have shared with my non-RAer’s spouse and sister-in-law. Hopefully they will read and maybe…… that is a big MAYbe understand!! It’s a big issue for me, I’ve found that guilt about not doing certain things is my biggest issue. I live several hours away from my mother and I haven’t visited her for ages. She’s getting on, but the travel for me is incredibly difficult and yes I pay for it for weeks after. She’s too old to travel and I feel it’s my responsibility to look after her, but the reality is, even if I was there, I wouldn’t be able to help, I’d be a mess! To compensate, we keep in contact regularly over the phone and by email. I’m at a loss and I feel terrible. I hear you Tracey. It sounds hard. My daughter bought me a great pill box for the week. I can open the slots up w/pushing gently. I only open my usual meds once a week & load every day up plus today so it’s only every 8 days really. 🙂 It was cheap at WalMart. I grew up with a very dear aunt that would tell me that can’t meant you won’t!! So having Rhuematoid has made me think twice about can’t!? What I have discovered is that can’t just means I won’t , just at the moment. Maybe next week. I can’t walk with my friend our three miles like we have done the last 25 years but I can swim laps 3-4 days a week. My friend and I have coffee and breakfast every couple of weeks. I can’t write lovely notes to friends and my volunteers at least with my hands, but I can type them on the computer and get creative with the clip art. I won’t stop trying, ever until I am dead! I am very fortunate to have RH with few problems that crop up. Not as you and most of your readers. But I do feel the need to do as much as I can until the next flare comes and I am down for the count! Ps. I do allow myself 4 hours on the pity pot and then phett your off. I believe you need to grieve for things and then you understand and see how blessed we really all are! Aww, Steph, I hope your aunt’s words don’t haunt you. I heard lots of saying like that as a kid too. But I love your 4 hour rule to allow for feeling the pain before moving on. Both are needed. You are so wise Steph, and hearing from you always encourages me. My mother encouraged me to be independent and resourceful as a kid by saying, “What are you going to do if no one is around to help you?” Well, for quite a few years that was most of the time. I was single, helping my elderly father manage his medical issues with diabetes and progressive vascular dementia, trying to stay in college after having finally gone back to school after I had to quit working because of the RA. I am very blessed now to have a fantastic husband; sadly he has some strange severe chronic pain in his back/shoulder and he has to take way more, and way stronger, pain meds than I do each and every day. So we joke to each other about whose turn it is to be the patient. 🙂 At least we have each other to understand that sometimes, it just friggin’ hurts like crazy. Years ago I remember getting a flat tire in a friend’s marina parking lot and asking for his help to change the tire as I could not. I was flabbergasted when he questioned my statement, that he had not seen me try so how could I know that I couldn’t? I reminded him that my first husband and I had a taxi company in a small town in the middle of nowhere with dirt roads, and we had flat tires on our taxis on almost a daily basis. I couldn’t change a tire then, either, and I had tried. And was terribly frustrated and hurt that I could not change a tire. I was really down that night, worrying and fussing about my future, when my then-husband said, “do you really think all men are able to change a tire? Why do you think there are tools?” And so I learned to love tools, especially levers, and mechanics of motion. I did far more than most people expected of me, BUT I STILL COULDN’T CHANGE A TIRE. And that “friend” just COULD NOT UNDERSTAND that I didn’t need to try again to prove to him I couldn’t. Thanks for all the support you give all of us with RA. It goes a long way in not feeling so alone in the constant battle of the joints. What joints are affected? It’s a much shorter list which ones are NOT affected. Other than the cartilage connecting the ribs, and only *some* of my spine, I don’t think there ARE any other joints that haven’t been affected somehow. I am on the waning side of the last flare from last night that went supernova in a mere hour or two. I went from a spring in my step and no pain to something like 10 or more different sites of pain. Jeez. It’s been like this ever since I finished chemo last fall for colon cancer. I’m now in remission from the cancer – yay! – but just as the oncologist warned me, my immune system is back stronger than ever and boy is it ever mad! Cancer pain? No, I really didn’t have any. While on chemo, my immune system was very suppressed so other than fatigue, I was doing fine on the RA. Not anymore! Now there is pain aplenty! I don’t want the biologics and neither does my rheumy now, I don’t want to suppress the immune system any more; I had pneumonia a few years ago after working on a political campaign and thoroughly exhausting myself while taking Arava. Now I have a love/hate relationship with prednisone, and my pill bucket is full with methotrexate, sulfasalazine, plaquenil, oxycodone, generic flexeril for the neck spasms that freeze my neck up and lets not forget good ol’ ibuprofen, which unlike the pain meds at least reduces some of the inflammation. Just call me sick and tired of being sick and tired! A few hours ago, I would not have been able to type this post. I almost cried when I read this. You have a very simple way of bringing out the true effects of what we go through. Thank you – I now KNOW I am not alone. Well – read it and sat and cried. Kelly, you do a wonderful job of putting to pen what we all feel. I want to send this post to my family and husband. I am so mentally and physically tired because the expectation from me to go on as normal and I just cant. The lack of understanding on how the disease and the medication affects us is so very frustrating I just want to craw under the sheets and stay in bed but can’t because there is no one to take care of the responsibilities I have. off for a good cry. Thanks so much for this post, and the blog in general. I have been diagnosed for almost a year now, and as a lifelong athlete and martial artist, I have stuggled greatly with the different “can’ts” in my life and their different meanings. This post is well worth shaing with those in my life who may not understand what “can’t” can mean with RA. Also, as a little shameless self promotion, feel free to check out my blog that I listed in the Website field above. I would love to get your feedback and support. I Can’t believe that things I thought I couldn’t do because iwas being baby are valid, other RA people suffer the same thing. For about ten years I have dropped glasses , threw my hair brush while trying to brush my hair was due to RA and didn’t know why. Deep down I knew something was wrong. Just typing this is making my hand TIRED…. My son sometimes acts like I make up my ailments but how do you explain when you don’t understand yourself? For me, it is a mostly I can do everything I used to do IF I am willing to pay the price in pain…. Hi Kelly, I have struggled with the usage of the “can’t” word for many years. I have had severe RD for 40 years and most joints in my body have been replaced or fused. I am still young at 52 and very active in that “different” way. I only use I can’t pretty rarely. I have a Social Work Degree and after my experience with personal/professional counselling have learned that saying I can’t frequently can often tip the scales towards depression or feeling incapable. It is one of the words like should, never, always, or ever that cause internal suffering. We can do most things but differently. Applaud this and give yourself a big old hug!! I reserve the I can’t when asked to climb stairs or do any heavy cleaning or squatting/sitting on floor etc. Good Luck! I spent all of the money from the sale of my home and a inheritance, to build a small goat dairy. Within months, I was diagnosed with RA and the word can’t, which I have always detested, cropped up more and more. I could no longer hand-milk. I could no longer buck hay. I could no longer do so much of what it takes, that I had to let go of my dream entirely. I kept a handful of goats and my Partner milks them and makes cheese. She works full time, so it isn’t practical to have more goats. I sit and look out the window at the goats. Most days, I cannot even walk the 100′ to the barn. Can’t has become a reality. Please find a mom that will sew the patches for you.